Bayside Village consists of three buildings on the northern edge of the Marina enjoying beautiful views of the downtown Miami skyline, as well as, marina, bay, and southeastern ocean views. Built from 1986 – 1988, this quaint marina community features 2, 3, and 4 bedroom spacious floor plans ranging from 1847 to 6438 square feet. Bayside Village has its own pair of waters edge swimming pools, security personnel, and is within steps from the Marina and the Fisher Island Town Center. 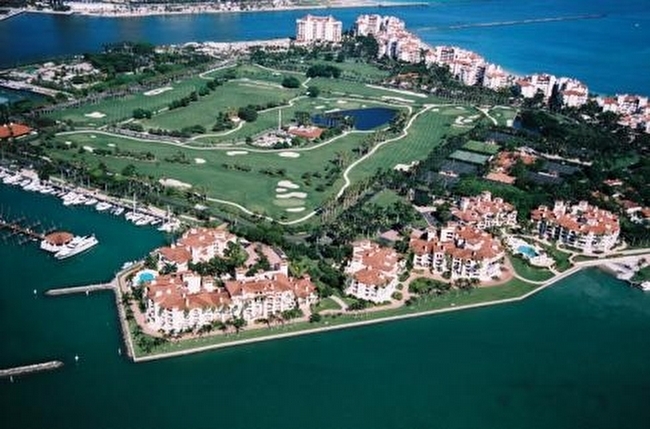 Fisher Island is a prestigious, 216-acre private island residential community located just off the coast of Miami Beach. The epitome of luxury and unmatched privacy, Fisher Island is home to some of the country’s most prominent and elite figures. 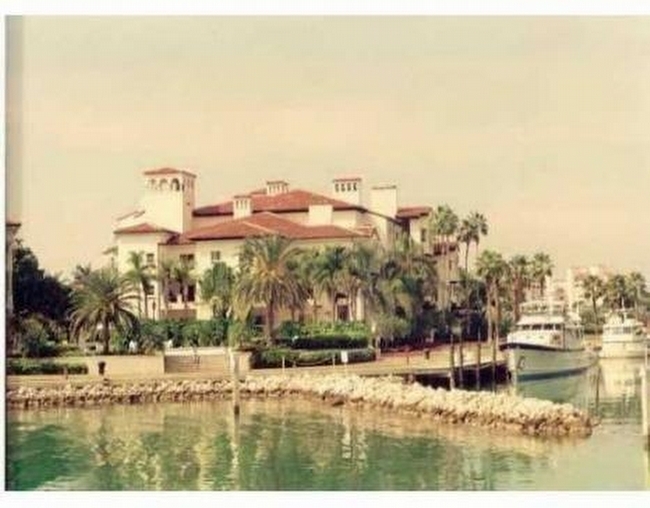 Formerly the winter estate of the prominent William K Vanderbilt, who traded his yacht in 1925 for the island paradise, then owned by Miami Beach investor/developer Carl Fisher. Today, Fisher Island is a world class, small community of approximately 475 residents that enjoy unbridled grandeur and first class resort amenities surrounded by the crystal clear waters of the Atlantic Ocean and Biscayne Bay. Fisher Islands extravagant amenities include the exclusive club where distinguished members enjoy the exquisite Vanderbilt mansion, now the Fisher Island Hotel and Resort, a charming ocean side private beach club, two swimming pools, the 22,000 square foot Spa Internazionale, a 9-hole championship golf course, manicured Tennis Center, two deep water marina’s, six excellent restaurants, social and yachting clubs, polo field, and lovely circa 1925 suites and cottages for quests. The self contained community also has its own bank, post office, fire department, private school, gourmet market, beauty salons, dry cleaning, helipad, seaplane ramp, marina, and the finest security staff to ensure the utmost in protection and security throughout the island. Fisher Island is also home to one of the most beautiful beaches in Florida. The white sand was even imported from the finest Bahamas beaches. This secluded island playground for the rich and famous offers something for everyone. Home to some of the finest real estate in the country, Fisher Islands array of luxury residences range from pristine studios to Mediterranean inspired Villa’s to sprawling estates that share unprecedented views of the Atlantic Ocean, Biscayne Bay, southern tip of Miami Beach, and the magnificent Miami skyline. The flexible of ownership program an additional benefit as those that own seaside villa’s or condominium’s can elect to put their residence in the hotel program. Accessible only by air or sea, Fisher Island’s residents and guests enter or depart via 24-hour car ferry, private boat, sea plane, or helicopter. The quintessential tropical island retreat, golf carts are the main mode of transportation within the island. The tranquility of Fisher Island is only minutes from the shops, theaters, restaurants, and nightlife in Miami and Miami Beach. The ferry port is conveniently located on the eastern end of the MacArthur Causeway that links Miami Beach to mainland Miami. Forbes recently ranked Fisher Island as one of the top ten zip codes in the nation with the most expensive homes, most VIP’s in the nation, and the highest per capita income amongst its less than 500 residents. Fisher Island is unquestionably one of the most luxurious and exclusive resort communities in the world.